Cory Monteith participou de diversas séries de TV em sua carreira. Confira todas as suas participações ! ANO - Série de TV ( Personagem ) - "Nome do Episódio"
2004 - Stargate Atlantis ( soldado Genii ) - "The Storm"
2005 - Young Blades ( Marcel Le Rue ) - "To Heir Is Human"
2005 - Supernatural ( Gary ) - "Wendigo"
2005 - Smallville ( cowboy da fraternidade ) - "Thirst"
2005 - Killer Instinct ( Windsurfer Bob ) - "Forget Me Not"
2006 - Whistler ( Lip Ring ) - The Burden of Truth"
2006 - Stargate SG-1 ( Mitchell quando jovem ) - "200"
2007 - Flash Gordon ( Ian Finley ) - "Life Source"
2008 - Fear Itself ( James ) - "New Year's Day"
2009 - The Assistants ( Shane Baker Episódios: "The Star", "Rehab"
2010 - The Simpsons ( voz de Flynn ) - "Elementary School Musical"
2011 - The Cleveland Show ( voz de Finn Hudson ) - "How Do You Solve a Problem Like Roberta?" 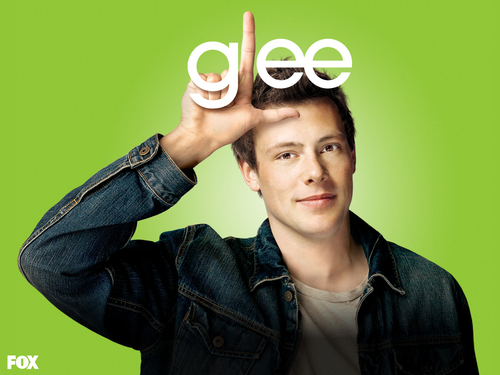 2012 - The Glee Project ( Ele mesmo ) - "Vulnerability"